Setting an example is important for the times we live in. 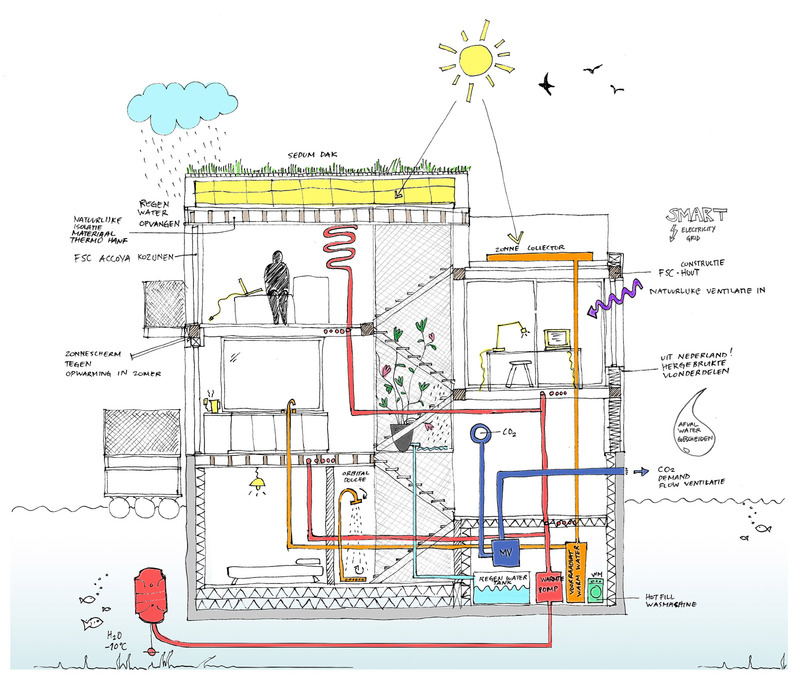 This is an ecological design for one of the 30 floating houses of the Schoonschip development in the 'Van Hasseltkanaal' in Amsterdam North. 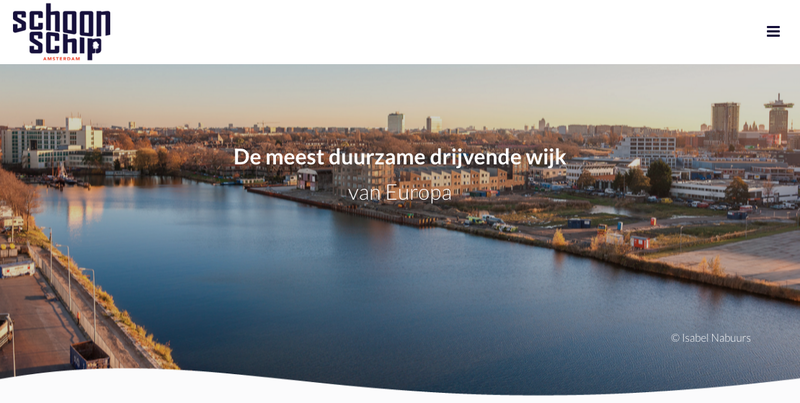 Schoonschip wil be the most sustainable floating neighbourhood in Europe. 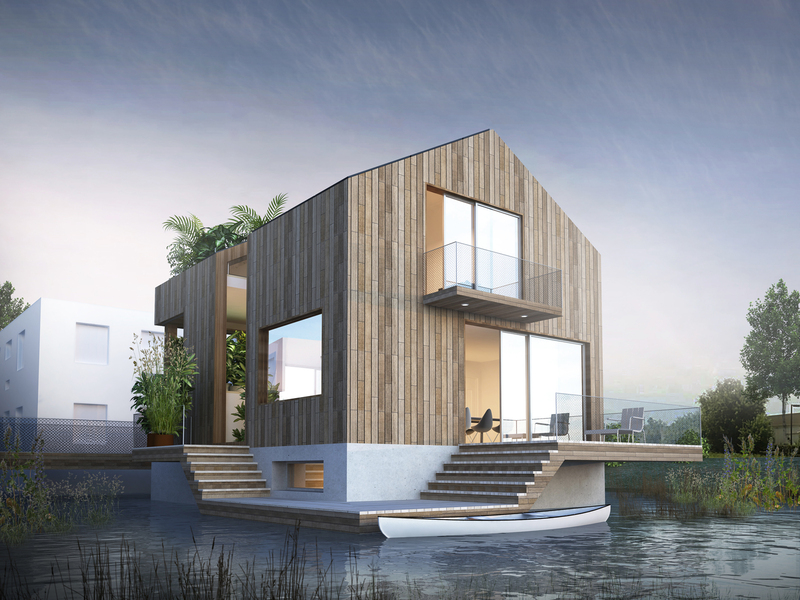 As opposed to the conventional house which is built on a pile foundation, the floating house is built on a foundation of a concrete box. The house is built on top of this box and it is towed over the water to the site location. The split level house is flooded with natural light at all levels and aptly playful. The day spaces such as living and dining rooms are on the west, opening out onto the water side by means of floating decks and balconies. On the other hand, the sleeping spaces are on the lower levels, within the concrete box. The split level internal courtyard on the south, melts into one entity with the playroom and kitchen due to the transparent partitions. The internal courtyard is further visually connected on the upper dining level.